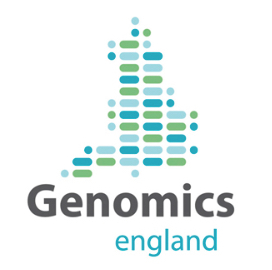 The UKINETs Research Committee are currently setting up a Neuroendocrine tumour domain of the Genomics England Clinical Interpretation Partnership (GeCIP). GeCIPs have been formed within the infrastructure of the 100,000 genomes project which was announced in December 2012 by the government. The principal objective of the project is to sequence 100,000 genomes from patients with cancer, rare inherited disorders, and infectious disease drawn from the NHS in England, this genome sequencing data will be standardised and then linked with patient diagnosis, treatment, and outcomes. As part of the proposal, a secure infrastructure will be established for the protection and analysis of clinical and genomic data, and made available for approved academic and industrial research purposes, including those of the contributing clinical organisations from the NHS. Work is ongoing to develop the neuroendocrine tumour domain which will be a valuable and unique resource for NET researchers across basic, translational and clinical disciplines. This is being led by Dr Chrissie Thirlwell (Chair of the UKINETs Research Committee). DNA sequencing analysis would be undertaken from patients tumour (fresh tissue) and blood samples. It is early days, and UKINETs will give updates as this proposal progresses.